In 1989 the status of the hospital was changed to a public, county-owned operational hospital under the direction of a nine-member elected board, an act which also placed the hospital in full compliance with the County Hospital Act, K.S.A 19-4601 – 19-4625. In 1992, the hospital Board of Trustees entered into a management agreement with Great Plains Health Alliance allowing access to many professional consultants as well as group purchasing benefits. 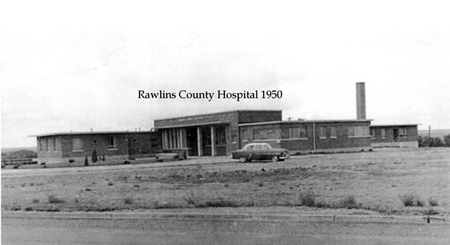 In 1997, the name of the hospital was changed to Rawlins County Health Center to reflect the partnership between the hospital, the rural health clinics, and the new Prairie Plaza Retirement Community. The Rawlins County Hospital Foundation (established in 1988) is an affiliate (since 2002) of the Area Community Enrichment (ACE) Foundation; a non-profit 501(c)3 organization located in Atwood, Kansas formed to facilitate donations and grant funds. In 1998, the hospital was converted to Critical Access Hospital status. The hospital maintains a full-service Emergency Room with adjacent Radiology and Laboratory Departments and is open 24/7, 365 days per year. The health care facility maintains a rural health clinic in Atwood. Rawlins County Health Center provides a specialty clinic area within the hospital complex offering local patients with the services of outreach specialists who fly, drive, or Tele-Med into Atwood to serve their patient base. In 2010 RCHC began the renovation and expansion of the 60-year-old facility. Through a Kansas Department of Commerce Community Service Tax Credit Award and a Community Development Block Grant Stimulus Award, new cardiac rehab and physical therapy departments, new patient parking areas, and a new front entrance and admissions area were completed. RCHC also received a $7 million-dollar USDA loan for the construction of 10,170 sq. ft. patient wing, ER, lab, and x-ray plus the renovation of 10,000 sq. ft. of existing hospital space. Construction continued at the facility as the Rural Health Clinic moved into the former patient wing. The development of the new Surgical Suite began with a Kansas Department of Commerce Community Service Tax Credit Award and a Community Development Block Grant. Future building plans include finishing Phase II and Phase III of the Surgical Suite, Expanding the Physical Therapy and Cardiac Wellness Departments and moving the Specialty Clinic. Rawlins County Health Center has applied for several grants for critical medical equipment during the past few years. Several private foundations and individuals have awarded these applications and assisted with the purchase of an automated medication dispensing system, bariatric patient lifts, physical therapy/cardiac rehab exercise equipment, and much more. Rawlins County Health Center is dedicated to providing professional services to all patients through the medical practices of local physicians, outreach specialists, physician assistants, advanced nurse practitioners and more than 70 employees. 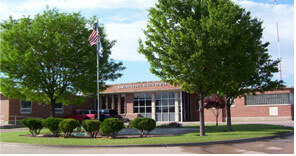 Rawlins County Health Center is one of the largest employers in Rawlins County.